This year’s “Winter That Never Was” is the – pardon the pun – polar opposite of 1888, which brought the worst winter snow disaster the United States had ever seen. Beginning on March 11 and stretching through March 14, this monster storm would dump 50 inches of snow on Connecticut and Massachusetts and 40 inches on New York and New Jersey, with sustained winds of 45 miles an hour. Entire homes were literally drifted over; a drift in Gravesend, Brooklyn was measured at 52 feet high. Railroad lines were blocked taking days to clear; telegraph and telephony lines snapped or exploded isolating the metropolises of Montreal, Boston, New York, Philadelphia, and Washington DC for days. Electrical lines dropped all over New York City adding electrocution deaths to deaths from exposure and building collapse. Over 400 people would lose their lives on land – more than 200 in New York City alone – and 100 more lives would be lost at sea in coastal vessels sunk from wave battering or by the enormous weight of ice that formed on superstructures. This storm would prompt New York City to bury its electrical lines and its train stations and push harder for a subway. 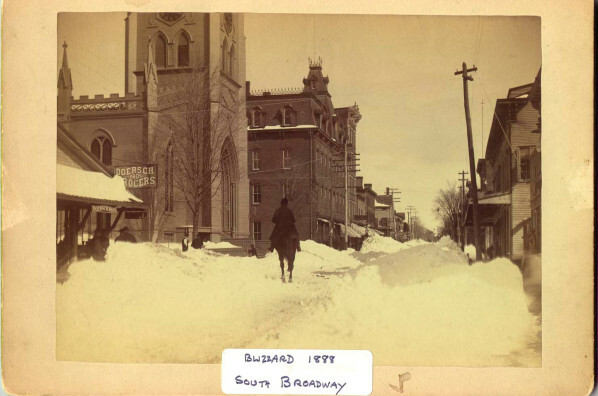 In Nyack, snow accumulations were less than in Brooklyn though well into the two foot range, while drifts engulfed entire houses and blocked streets and docks. Nyack was isolated from the rest of the Metropolitan Area with both ferry service stopped and trains unable to get through the drift. Daily commuters who had left Nyack on the train that morning were unable to return for days (Fancy that, train service right from Nyack… hey Albany!! ). The archives of the Erie Railroad show a report from Harry Lewis Sarvent engineman from Nyack and at that time foreman of the Nyack Engine Yard. 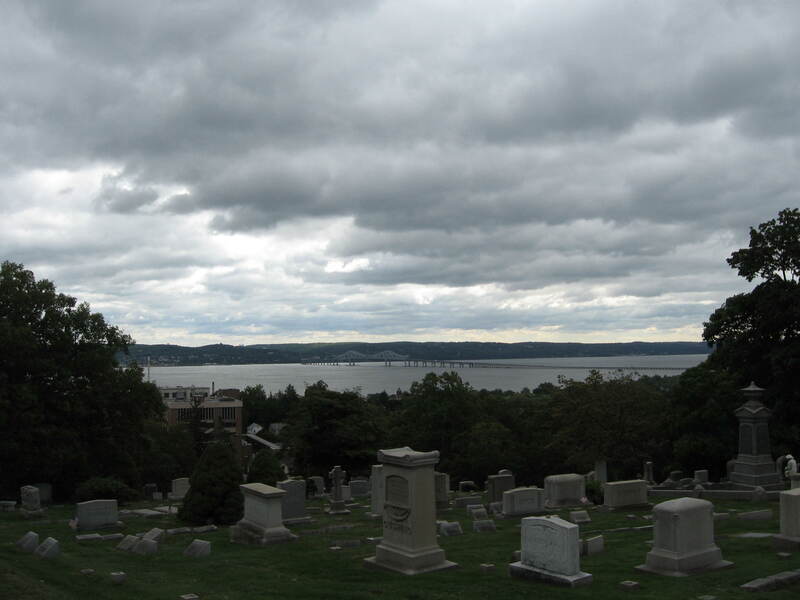 (Sarvent is a descendent of Phillip Sarvent, mentioned in several of my blog posts as a hero of the British Attack on Nyack and is a possible candidate for the identity of the legendary ghost in the Old Palmer cemetery – see October 2010 posts). Harry Sarvent reports to his superiors that: “On March 12th, 1888, the time of the blizzard, I was called to ‘fire’ locomotive engine 327 for engineer Benjamin Scribner at 4:30 a.m., Monday, and left Nyack about 7:30 a.m. We got back to Nyack the following Thursday afternoon.” This for what was normally a one-hour or less return trip. Many Nyackers and other Rockland Residents were trapped at various workplaces – several Macy’s Saleswomen from Nyack were permitted to sleep in the store for the duration, in – where else – the mattress department. Nyack’s pioneering woman physician Dr. Virginia Davies (yep, Dr. Davies Farm on 9W in Congers was hers) was in March of 1888 in the middle of her four-year stint as Head of the New York Infant Asylum and had arrived in the city quite early that day. Like so many others she became trapped at her workplace, fortunately for the infants and children there, for after over two full days of her snowy imprisonment she led a party who TUNNELED through 18 foots drifts to get milk since there had been no supplies that entire time. 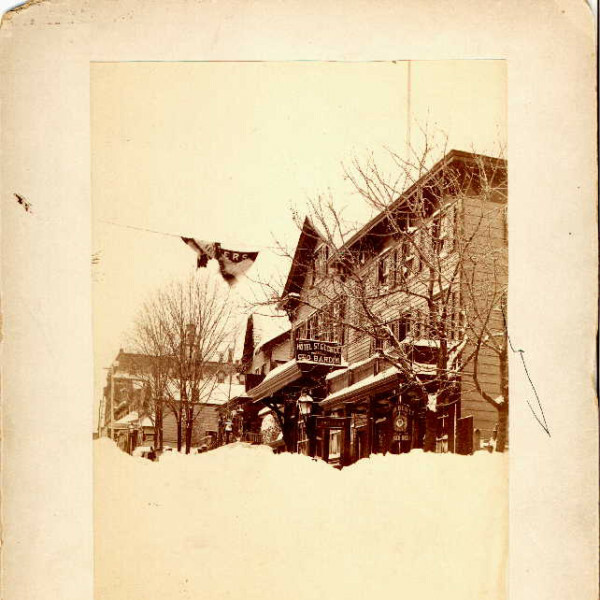 This act of heroism was braver than you might first think – the majority of deaths from the blizzard were those who had attempted to bludgeon their way or tunnel their way through enormous drifts – and women pedestrians had a significantly higher rate of mortality because their heavy petticoats dragged them down, and frequently prevented their desperate attempts to extricate themselves from their snowy entombment. An odd quirk of history shows that as a direct result, petticoats became far less massive and calf-length skirts made their first appearance in modern fashion. Nyackers and City Folks had all adapted to “modern conveniences” such as electricity, gas stoves, telephones and easy access to fresh milk, groceries, heating fuel, transportation and newspapers. The papers published at least two additions a day back then, and people read them as avidly as we watch the news twice or more times a day in 2012. At first, just as would be likely today, people griped about not having anything to read, or being able to go to the theater, or not having their lights or telephone work. That was “at first”. As the isolation stretched to days and no supplies could get anywhere on the East Coast, lack of food and heat switched from frustrating to fatal. Urbanite and Villager alike were used to picking up fresh food daily (home refrigeration not being widespread) and having the coal man deliver regularly. Trapped in their homes and offices and shops and tenements and hotels, millions in the New York metro area were threatened with death from exposure or from hunger. Many were forced to improvise, and that improvisation would result in one of the Nyack areas longest lived legends. On the border of Blauvelt and Nyack, near Buttermilk Falls a family on Greenbush Road living in one of the old Dutch Sandstone Colonials was literally trapped in their home by drifts as high as the roofline. The quickly ran out of firewood and could not get out their doors to get more – so they began to burn anything in the house that they could – newspapers, artwork, beds, tables, chairs, and finally only one thing was left. The family patriarch had passed away at an advanced age just prior to the blizzard and his coffin was in the parlour waiting for a now postponed funeral. With no other options, the family was forced to do the unthinkable — burn the old man’s coffin, and keep granddad’s body in deep freeze just outside the door. Apparently, the old man (or his shade) was not amused. By all accounts, no one has ever been able to satisfactorily heat that parlour since; and it remains chill even in the hottest dog days of August. The house was a lovely Hudson River Victorian on LaVeta Place in Nyack. 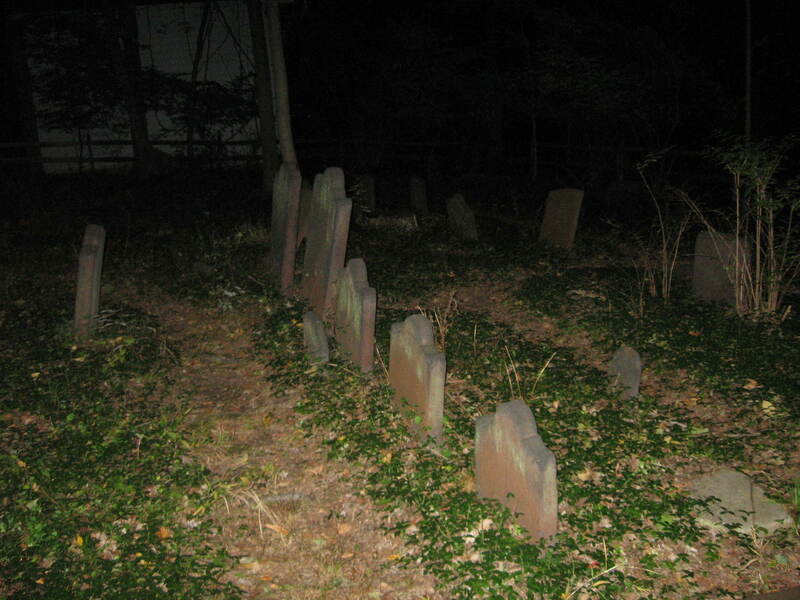 For years, one of the owners had recounted tales of a benign haunting in her home to everyone – it was part of the Nyack Ghost Tour, it was on TV, it was in Reader’s Digest – around Nyack, we all knew about the ghosts (or supposed ghosts) in “that house by the river”. We all knew it, but in 1989 when the house was put up for sale, buyers from New York City did not. They went into contract on the lovely home unaware that they might just have some permanent house guests they didn’t invite. 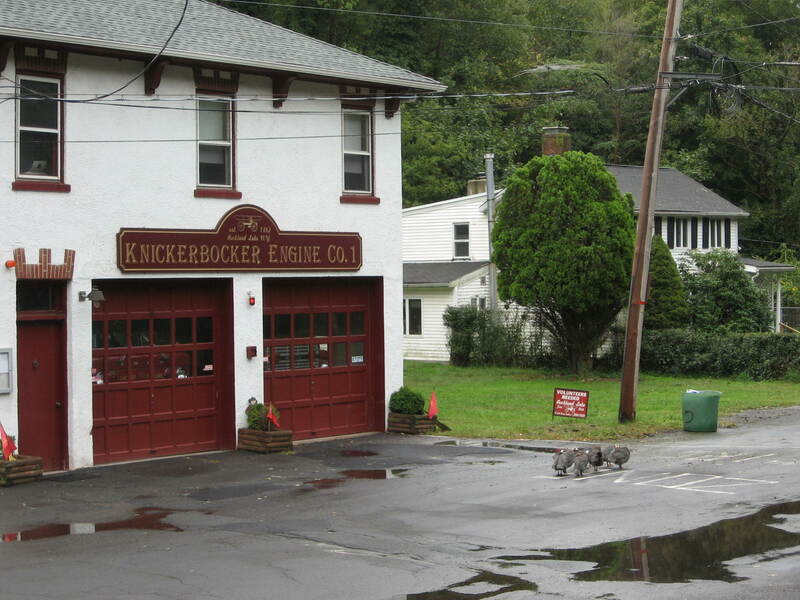 Then they heard the story… from, well, everybody in Nyack. “Oh, you bought the ‘Ghost House! '” Thus began one of the oddest cases in New York Jurisprudence since we were New Netherland. See, as a Realtor it is our duty to disclose any known defects of a home that might affect its’ purchase price, or its’ value thereafter. But is a haunting an adverse condition? Could it be argued that no such thing exists? Could it be argued in Court that it DOES? The Buyers, the Sellers, the Realtors and the Justices of the State of New York would find themselves “through the looking-glass” trying to determine precedent on the unprecedented. After first deciding that though it was obvious that the common perceived notion in the area was that the house was referred to as “haunted” and that perception could certainly affect the perceived value of the house, the Trial Court held that such a condition should fall under caveat emptor or “let the buyer beware” and no wrongdoing occurred. 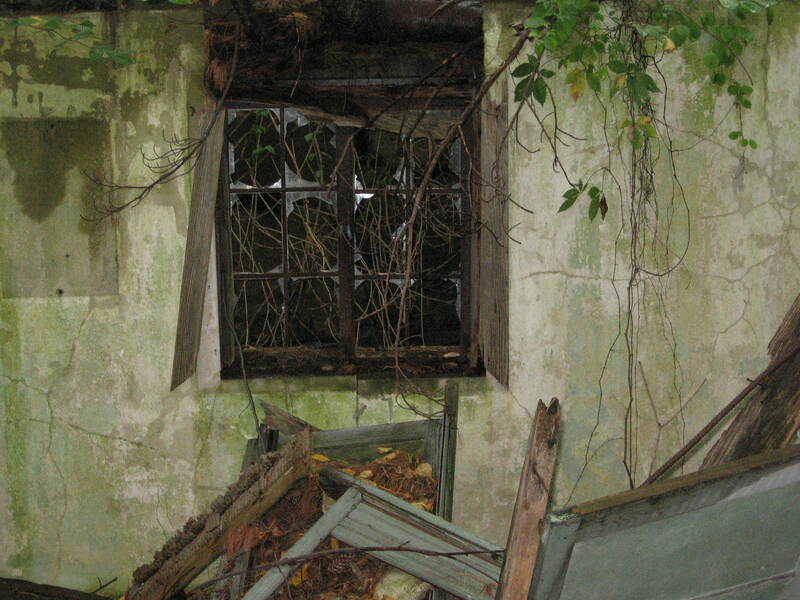 An Appeals Court overturned that decision on the grounds that ghosts in a house are not exactly something that can be discovered in the average property inspection, nor is it likely to be an issue a buyer might ever think to ask about. Therefore, the court noted that whether the house was truly haunted or not, the fact that the house had been widely reported as being haunted greatly affected its value – and that as a known perceived condition, it should have been disclosed. They wrote: “Where, as here, the seller not only takes unfair advantage of the buyer’s ignorance but has created and perpetuated a condition about which he is unlikely to even inquire, enforcement of the contract (in whole or in part) is offensive to the court’s sense of equity. Application of the remedy of rescission, within the bounds of the narrow exception to the doctrine of caveat emptor set forth herein, is entirely appropriate to relieve the unwitting purchaser from the consequences of a most unnatural bargain.” * The Buyers had their deposit returned. The house was purchased by a corporation who quickly sold it again (not due to any poltergeist activities that I can ascertain) and the next buyers were brought to the closing table by my compatriot and friend here at Nyack Rand Realty, Diane Smith. The purchasers were an author, and her husband, an A-list Hollywood screenwriter. (Other interested purchasers included “The Amazing Kreskin” who once told me the reason he had any interest was BECAUSE it was reputed to be haunted and he wanted proof, one way or the other). Diane’s buyers weren’t fazed by the allegations of a haunting – but thought their kids might have an issue, and decided the kids needed to go there first, hang out a bit, and see if it scared them. Diane was afraid the kids might be spooked and the deal wouldn’t have a ghost of a chance, but lo and behold, the kids loved the place and the whole family found the “vibe” of the house warm and inviting. They still live there 15 or so years on, and I’m told that there have been no negative experiences… which doesn’t necessarily mean there have been no experiences, now does it? 244 Years Ago Today – Nyack attacked by Redcoats! 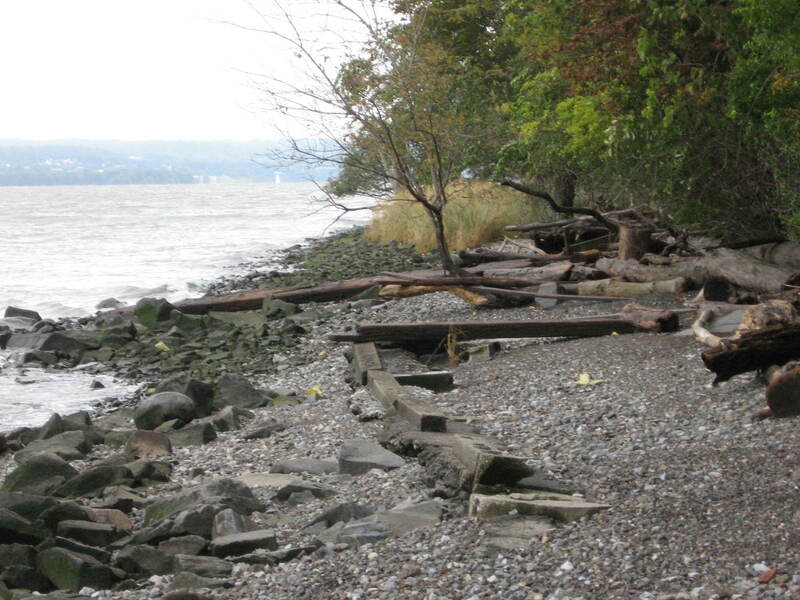 On October 15, 1776, Captain A. Hawkes Hay commanding repulsed an attack by the British on Nyack. By the fall of 1776, the British were not only in control of the City of New York, they had also gained control of Harlem, Bloomingdale and the other communities on Upper Manhattan and Fort Lee on the Jersey side. The Patriots firmly controlled the Hudson above West Point, but there was a struggle to keep the lower Hudson from coming under British control. Hay reported that the ships attempting to land at Nyack were prevented by the men under his command, including the use of the Swivel Gun emplacement in Upper Nyack. Severe damage was done to the house and barn of PHILIP SARVENT (see yesterday’s post about the Old Palmer Burial Ground) showing us that Sarvent was indeed working the emplacement in Upper Nyack – and though only a few men were injured in this encounter (no deaths) there were several other attacks on the area in 1777 and 1780. Hay’s own home would be targeted by the British from the River and destroyed in one of these raids, Major John Smith’s house in Upper Nyack destroyed in another. So it is entirely possible that Sarvent IS the reputed ghost of the Old Palmer Burial Ground as his gun emplacement was there and several of the attacks came in the form of raids – stealthy enough to sneak up behind an exhausted sentry and do him in before he could respond? Who knows? I’ve gotten great response to the last posting regarding Camboan, so here are some more pictures of the areas mentioned in the post. Camboan’s Vall and Camboan’s Falls are located on private property – fortunately, the owners are friends of mine and allowed me to photograph – you’ll see just how inaccessible it is! Please remember, never try to access any sites on private property without asking the owners first! Hmmm, no “orb” in this one, or the shot that immediately followed, but there is in the shot I added to the main post. Odd. 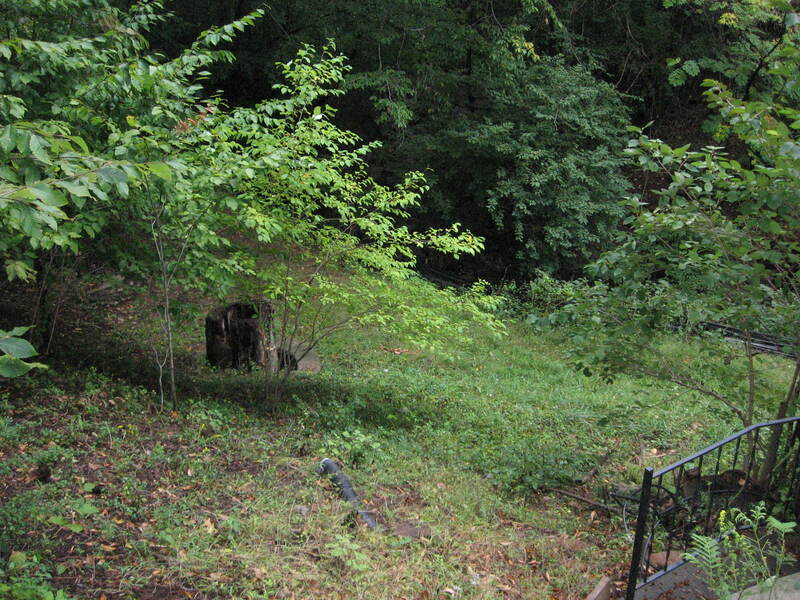 Admit it, how many didn’t know Nyack and Upper Nyack had some (albeit small) waterfalls? No wonder it took so long to find him. The route down was treacherous, and I had stairs a good portion of the way… I wonder if he simply slipped? “CAMBOAN” – a number of names in the area have to do with this member of the Lenni Lenape tribe. An adult man by 1671, Camboan was a member of the Tappan sub-tribe of the Lenni Lenapes who remained alone when the rest of his sub-tribe moved further away from the Dutch residents of what would become Nyack and Upper Nyack. He was very fluent in Dutch and an excellent diplomat frequently helping the Dutch settlers with both internal issues and those related to survival and prosperity in hunting and agriculture along the river’s banks. His miraculous location of two children lost for 5 days in the woods led to recognition by the regional government and the Dutch Reformed Church offered him Baptism into the faith (if he so chose) as a reward. Camboan seemed to disappear one winter but for years, then decades afterwards, people claimed to see moccasin footprints near the spring where he hunted and smell cook smoke coming from his glen-side home when there was obviously no one there. Eventually it became apparent that Camboan must by then be deceased, and could not still be living in the area, though some part of him might be “lingering”. Camboan Road: Leading off Old Mountain Road in Upper Nyack just east of 9W, this cul-de-sac leads to a secluded lily pad covered pond – this pond would be the spring by which Camboan often hunted and trapped. The residents of this tucked-away street enjoy a sylvan solitude that belies its’ location in today’s now bustling Rockland County, and its’ closeness to Route 9W. 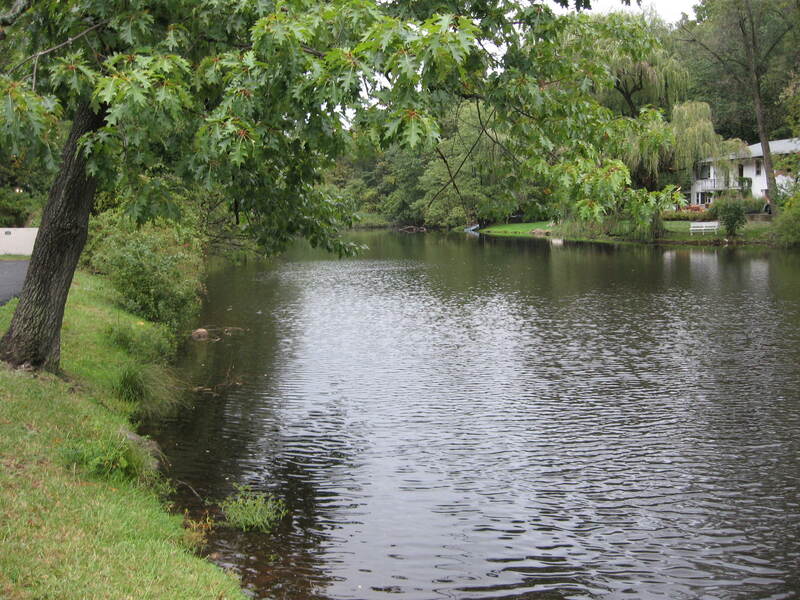 Walking along the pond makes one feel a hundred miles from anyone. Perhaps Camboan felt the same sense of peace and security there and did not feel as “hemmed in” by the new Dutch folks as did his fellow tibesmembers. 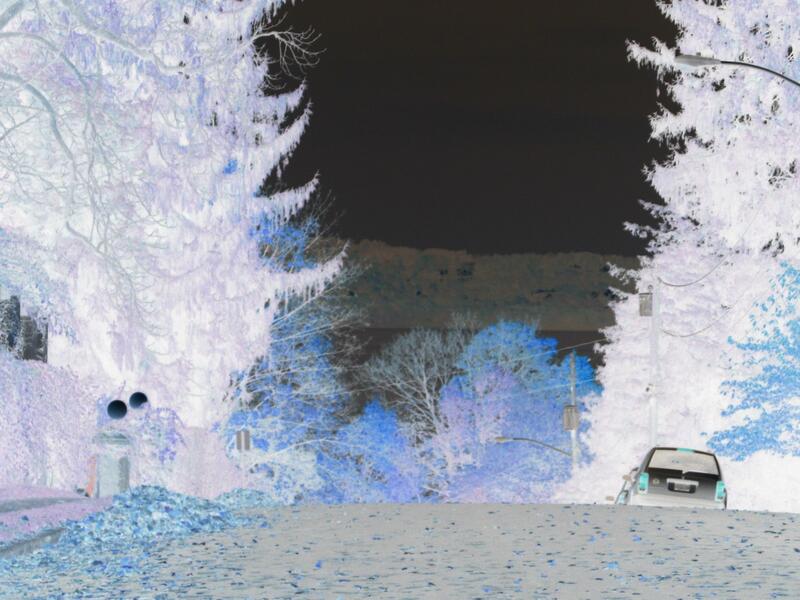 Spook Hollow Road: One street closer to the Hudson, and also running north off Old Mountain Road, this road, and the entire area along the stream (or “Kill” as the Dutch call a stream or brook) was known as “Spook Hollow” because it was here that so many of the sightings of mysterious Camboan-related hauntings took place. “Spook” is the Dutch word for “Ghost” and is used by Americans especially in the old Dutch areas like ours, and is one of our subtle lingering relics of the Dutch colony. 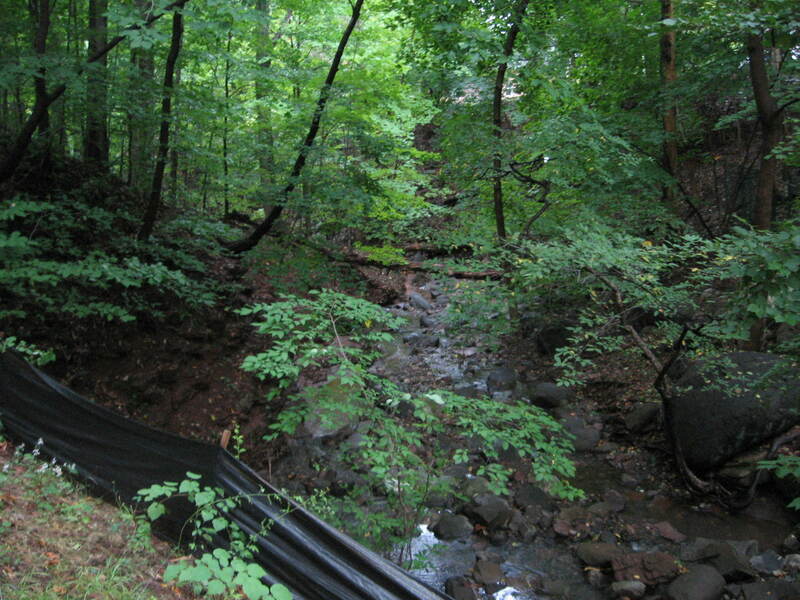 Glenbrook Road: Bordering the other side of the stream in the Spook Hollow area of Upper Nyack, it runs parallel to Old Mountain Road along the other side of Camboan’s Glen. The street runs east-west from 9W to that peculiar intersection of Midland, Old Mountain, and Glenbrook. 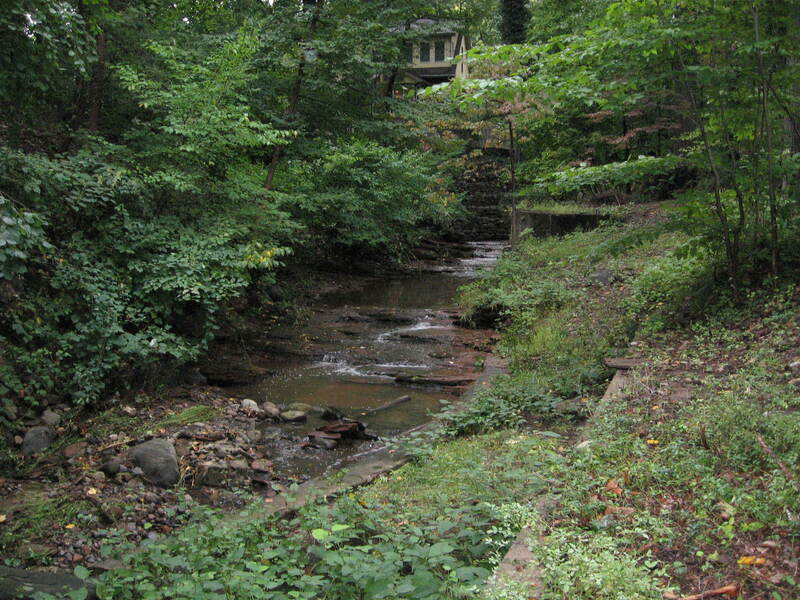 Camboan’s Vale: The glen that encloses the stream running along Old Mountain Road that creates the Spook Hollow area, it becomes a deep cut or ravine below Midland Avenue. The point where it reaches the Hudson east of Broadway was the location of the village that Camboan’s tribemates abandoned. The construction of Tompkins Court a couple of years ago probably obliterated what little was left of the site archiologically, but we know the location. 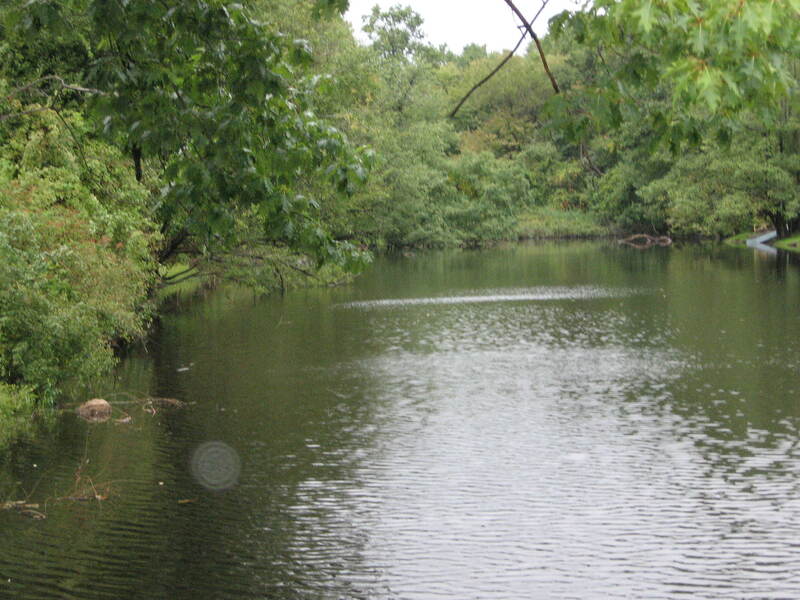 As a kid in the sixties, I still heard a few old Nyackers refer to the area as “Camboan’s Vale” or “Camboan’s Valley”. Camboan’s own lodge was located by Camboan’s falls, where the ravine breaks out into the open, vaguely across the street from the Old Palmer Burial Ground (more on THAT in a later post!). 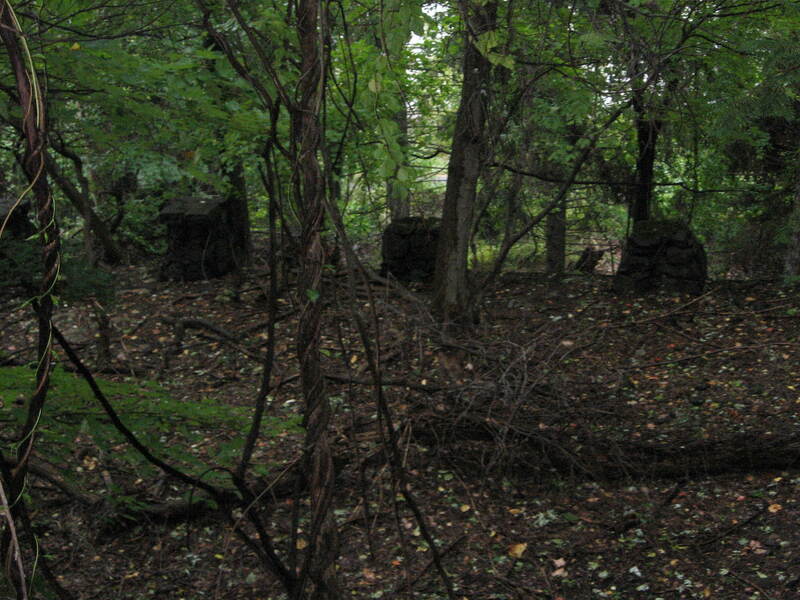 Eventually most of the facts of Camboan’s life were forgotten other than a trifle more than what you see here, and though the area was called Spook Hollow and considered haunted, not everyone remembered why. Finally, according to historian George H. Budke, when houses were being built along the stream and the area was being cleared of brush, the bones of a man were found exposed to the elements in a hard to reach area just up the ravine from the outlet of Camboan’s Vale. Camboan’s “mysterious” disappearance was solved centuries too late. One can only hope that someone secretly burned some sage or something for him in accordance with his customs. I suspect it might have been the Nuns at Marydell, who always allowed any remaining members of the tribe to perform the rites of autumn at their sacred oak behind the office there until the last practicing member of the tribe passed some time around 1930. That last true Nyack native would be immortalized in Maxwell Anderson’s “HIGH TOR” – a play in which I recently performed on its’ actual location at Rockland’s High Tor State Park (Anderson moved the Indian from Hook Mountain to High Tor for dramatic purposes) and yes, I played a ghost! 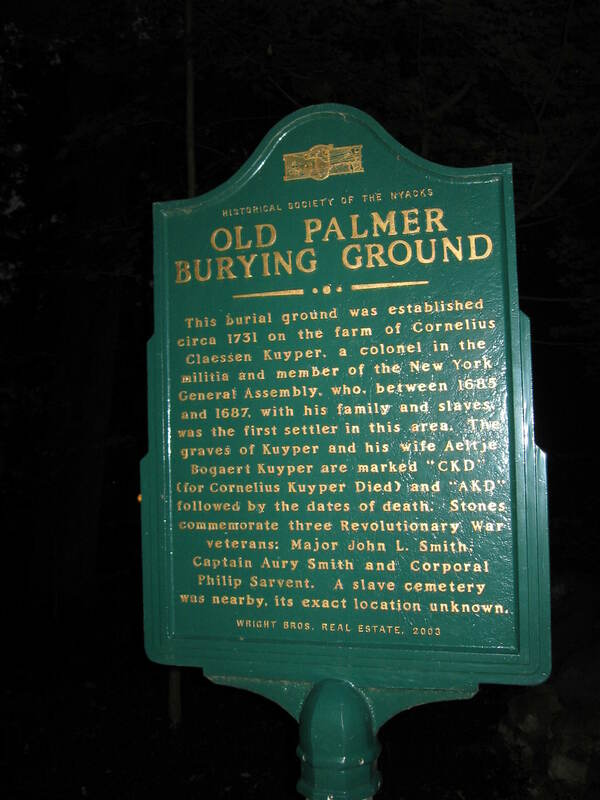 So the next time you are in the Spook Hollow area remember who it is named for and say a little “thank-you” to Camboan, the man who started Nyack’s reputation for racial tolerance over 330 years ago.